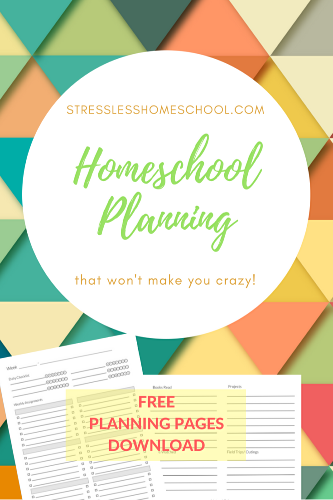 I love the idea of planning everything out and being the most organized homeschool mom anyone has ever seen. In theory. Real life… Not so much. We’re definitely more of a go-with-the-flow, have-a-goal-but-flexible-on-getting-there kind of family. While my now 12 year old thrives on structure, any deviation from “the plan” can result in an anxiety spiral. We’re working on it. Meanwhile, what works fairly well for us is to have a general plan (cover x number of pages in x subject most weeks) and outline each week or two as we go. Since I couldn’t find a planning book or pages that fit our needs, I did what I usually do. I made my own. These pages are extremely flexible. Some weeks I’ll want to plan lessons for specific days to fit a unit study or special activities. Those weeks I’ll use the sections to assign lessons for each day. Other weeks I don’t care if he works on one subject all day or in whatever order he chooses – as long as the week’s work gets done – so can list lessons by subject. 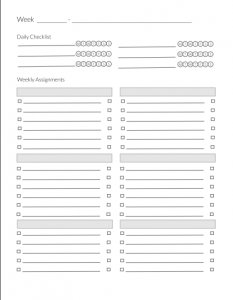 The checkmarks to the left of each lesson we use as “done” to quickly see the week’s progres. 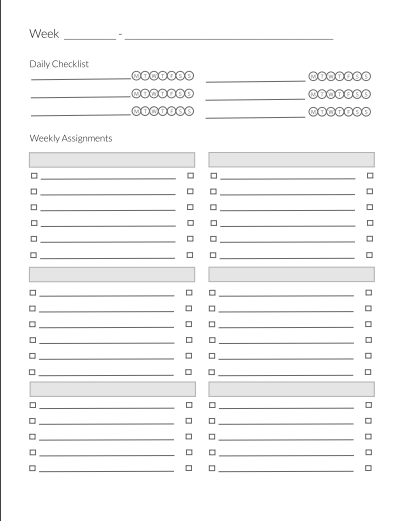 The right side checkmarks can be used to show which assignments I’ve checked over or to indicate that he needs help with an assignment. The second page has plenty of room to list all the “extras” as they happen. Books read, videos watched, field trips, library visits, special projects, etc. Thank you so much for including this free download! 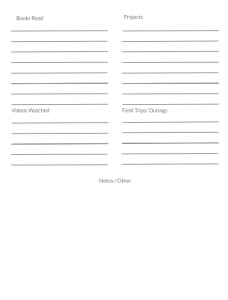 I am always searching for a “flexible” way to schedule….maybe this is it! Thanks again!